Calea Zacatechichi is a dream-enhancing plant with calming effects. This dreamherb makes your dreams more vivid and can even induce lucid dreams. The extract can be used in a vaporizer or to brew a tea. Native peoples of Mexico used Calea Zacatechichi to stimulate dreams by which they predicted the future. Contains 1 gram Calea Zacatechichi 10x extract. In sealed plastic packaging. Calea Zacatechichi is known as an eneirogen. It stimulates the occurrence of dreams. Calea Zacatechichi also has calming, relaxing effects.While being awake, the tea gives a very drowsy effect, but this is very different once you fall asleep. 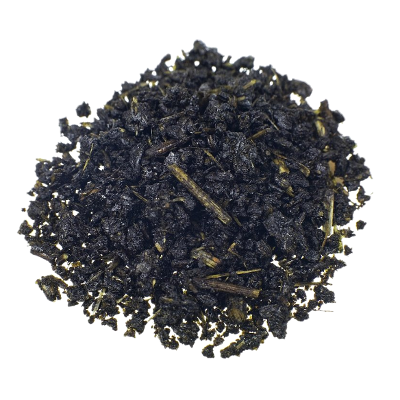 The Dream herb tea gives you very vivid dreams and even invokes lucid dreaming! Lucid dreaming is the experience of being awake while dreaming, and having control over what you dream. You can use this Calea Zacatechichi extract to brew a tea. For one cup, use 0.1 to 1 gram of the extract. Drink the tea before going to bed. Add honey to taste to sweeten the somewhat bitter flavour of the tea. You can also use the extract in a vaporizer. Use about 0.1 gram. 1 gram Calea Zacatechichi extract is equal to 10 grams of the dried plant. The plant Calea Zacatechichi belongs to the aster family asteraceae. This yellow-flowered plant is originally found in the highlands of Mexico and in parts of Costa Rica. The psychoactive compounds of Calea Zacatechichi aren’t found in the flowers, but in the leaves and stalks. The Calea Zacetechichi is known as Mexican Calea, Leaves of the Gods, Dream herb or bitter-grass. The Mexican Indians have considered the Calea as a visionary entheogen (=”generating the divine within”), and therefore Shamans used this tea to receive divine messages from the Gods in their dreams. The Mexicans also used this tea as a medicine, since it improves the metabolism and increases appetite.